Experience a tour of the Story Mansion. See original and restored interiors, historic photos, and the period furnishing of the first floor. Visit the grounds, and learn about the mansion’s use as a residency, a fraternity, and finally as a historical home and public park. 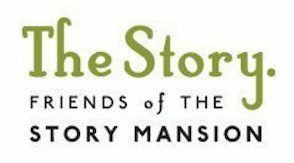 These guided tours are held by the Friends of the Story Mansion, and are only upon request. Tours can be scheduled for both individuals or groups. To schedule and reserve a tour, please fill out the contact form below.